I think it needs a little more diseases transmissions and more also the game is great but could use a little more things. I just got this game and it is so easy! In my opinion the game is boring due to the repetitive nature and amount of time needed to wait to discover if your changes have had any meaningful impact on the disease spread. Additionally the popping of the bubbles seems to merely be a way to keep you from falling asleep while playing this game as there is no skill or strategy needed in the acquisition of bubbles. Finally, I’ll say that all my coworkers love this game, which is why I bought it, but I just don’t get it. There is the initial novelty of watching the world turn red, but that ended pretty quickly and then it’s the same thing over and over. Anyway, just one persons opinion. I think it’s dumb that Madagascar and Greenland can close their docks. They have no airports. Fix it. But other from that it’s great. I love this game game but could you please update it please. Probably one of my favorite games here in the App Store. Been playing this game for a long time ever since it first came out; I’m OG. I stopped playing it for a while because I completed everything and didn’t wanna buy all the expansion packs but have recently downloaded expecting maybe some changes. But explain to me how a single expansion pack cost more than the original game?!?!?! FOR ONE NEW DISEASE?!?!?!?! Makes no sense. Not even a bundle deal you could do to make it cheaper. Big let down really disappointed. Amazing game, and I have a few ideas. First of all, this game, and Rebel Inc. are amazing. Worth every cent that I paid for them and the DLCs. I highly recommend this game and Rebel Inc. for anyone who is interested in a hyper-realistic, large-scale strategy game. Second, I have a few ideas for future development in this game series: First: different things to this game that aren’t exactly diseases, like a rogue AI disease type. Second, I would like to see a game where the player would try to spread a religion and/or ideology. 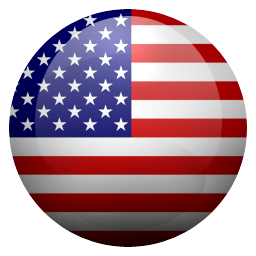 (Like spreading Communism, Democracy etc., or a real or fictional religion) Third, maybe a world or country-scale strategy game simulating a real or fictional war, involving much of the mechanics of Rebel Inc., on a much larger scale to simulate the stress and command pressure in a real-world war. All in all, I’ve never been let down or disappointed by any update in either game, and I hope that you keep making more awesome stuff like this. I can definitely tell how the creators of this game lean. It’s their game they can put what the want in it, but it might turn some people off. They game itself is pretty good though. I love this game. At first I kept losing but its actually way more fun than just losing. I would have given it five stars but the reason I didn’t is because I really want multiplayer for mobile. Don’t get me wrong, I love this game just I have a friends who play it and I want to play with them. Otherwise great game. 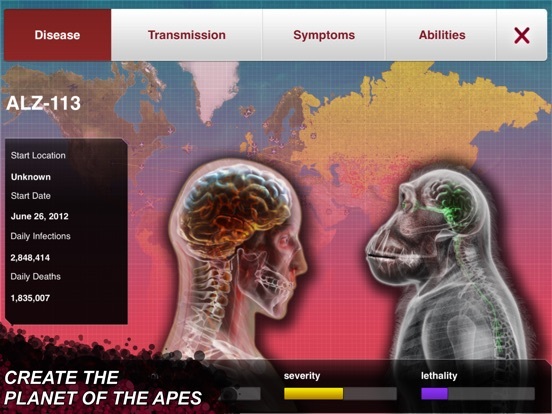 This is by far my favorite game, but I am confused because the game said that I would get the Simian flu and shadow plague if I beat all other diseases on brutal. Well, I beat all the standard diseases on brutal but still wasn’t able to play the Simian and Shadow Plague. Please help soon. I had I idea for a buyable plague. The robot invasion. It would start by hacking iPads and phones. Then a PC and PS4 and Xbox’s. Then factory and company tech and severs. Then you get for 20 plague points you get were robots become self aware. Then next you can hack vehicles and planes, next is planes and rocket ships, next are super computer and quantum computers. Then you make them come alive and take over the world. It would be like a hack and make them alive. I completed all the basic plague types so now I have cheats and the neurax worm. I completed the neurax worm and now there is nothing to do. I wish you can get all special plague types by beating the previous special plague and your game is awesome! Edit: stuck in bacteria? start your country in South Africa and get extreme bioareosal and cold resistance 1 -2 then drug resistance. Why does Alaska belong to Canada? It is a fun game. Oh, this non-deadly virus that’s only infected one country exists? Well, it’s more serious than cancer! At first I thought it was kind of a twisted game, the objective being infecting the world and bringing humanity to extinction. But as a friend let me play on their phone to try it out, and as they explained the gameplay to me, it became fascinating to evolve the plagues strategically and ponder on the possibilities as new features are unlocked. I would only change some of the sound effects, specifically the ones with children singing or laughing in them. They’re kind of anti-climatic. When you need a place to go, to get your mind off of everything else, kick back and kill all people, destroy the earth! This game is amazing however there is too many micro transactions if you already have the pc version you will have to put a similar amount of money into this for you to get all the functionality you would have in the pc version. I love both versions of this game though! Kill kill kill people who don’t like you! I sure do like pickled cheese! 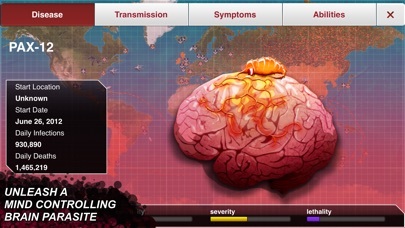 This game is lots of fun to play around with the different diseases and try to infect the world. It really requires some strategy so it also becomes a challenge. I give this game five stars because I’m congratulating the developers for making a great game. The infecting the spreading is amazing but there’s one thing that is bothering me is that can’t the packs like the shadow plague and simian flu and all of that why can’t those be free i know there supposed to be have a price but please can’t you guys make it free I love it so much and I tested out the shadow plague and simian flu and they were so awesome please continue the updates and at least try to make them free maybe you could make it to where you have a subscription and pay every week but anyway please continue and I hope this review will come to your attention. Why do you use a really great game and pollute it with political bull crap? Global warming is not on the same level as flat earth and anti-vaccines. You clearly are a bandwagon earth-hugger. Put these facts in your game, idiot: 1. CO2 comprises 0.04% of earth’s atmosphere. Get that? In absolute terms (because I just used percentage) that is 0.0004. 2. Natural deforestation (worldwide forest fires) produces more than 4x the CO2 of all the human generated emissions every year. So even if you took every plane out of the sky, and every car off the road, you would continue to see the earth cycle 440 gigatons of CO2 back to plants (they breathe CO2, remember?) 3. It’s true, the earth is warming. There was a documented period of planetary warming around 1000 AD (waaaaay before cars), and mini-ice age centered around 1700 AD. So kinda makes sense that we are in a warming trend. When you take something out of the freezer, and put it out to thaw, do you gather around it with other uninformed know-it-all’s and wonder what evil is causing it to warm? 4. The earth has experienced periods of average temperatures more than 40 degrees higher than current temps (this is based on study of types of rock formation that are combinations of elements that require certain sustained temperatures to form), as well as a period where almost the entire surface was covered with ice (that required ocean floor volcanic activity to melt it). We should do everything we can to improve fuel efficiency , reduce emissions, recycle, and respect our environment. The same way we should respect and treat our homes, and communities, and cities. But feel free to stop acting like the earth was a single temperature for billions of years till we came along and jacked up the thermostat. That’s like saying the earth is flat, or that vaccinations cause autism (oh, snap!). You disgrace your platform when come with these stances that you’ve never bothered to actually look in to. Ironic that you reference a lemming in this game. Be a man and make a decision to quit proliferating your vicious ignorance. The game is brilliant with a terrific realism to the in game worlds. Practice is key but anything can happen in the game. These events like Olympics World Cup and even A NUCLEAR attack can make or break you game. The game is amazing with intense gameplay mechanics. This game is so fun! It’s cool that you can chose between the types of diseases! It also cool that you can learn about sickness’s! Game randomly tells me I’ve been defeated even though my disease is fully upgraded with high mortality rate and cure rate below 40%. Purchased one of the strain advancements before i started a new game (just to test my theory) and set my disease up the same way as before and won. Miss the days when this game was strategic and not P2W. I don’t usually play mobile games but this is a lot of fun and worth paying for! I bought the game and now it says “you have already purchased this game so it will be downloaded now at no additional charge” but it won’t download, it won’t even show up on my home screen it just keeps saying that every time I try to download it! I love this app because I like that the creator of this game made everything look realistic!!! YAY!!!!!! I have been playing this game for a while and I love it! This game is great! I would recommend it to people who like strategy games. The game is really good but I had every thing and then it just delete everything and that makes me a really mad about money using for it to delete its self so I have to buy every thing again and so I’m not going to buy everything again but it is really fun I just want the stuff back so I don’t have to buy it again so also fix that bug it is really annoying to wast a lot of money just for fun and then get ripped of it. So please can I get that stuff back. Some genomes like the once that decrease the chance of your disease mutating, do not really work that great. Maybe i am missing something but otherwise this game is amazing! Never gets old. I’m a new player and I did the simian flu. I never got dna, cures were made super fast, I was playing on casual, and I had symptoms that made dna faster. Otherwise the game is super fun. This game is boring yet strangely addicting. You really have to strategize to win. But end of the day it’s pretty boring. Buyer beware. Even playing casual it seems impossible to win, the pop up tutorial never goes away either, so it pops up inconvientantly and frequently. The game takes a lot of real epidemiological factors into play. But it’s too easy. Fun gameplay, locked behind paywall. i paid $5 for this shovelware. i’d at LEAST expect to have a full game. 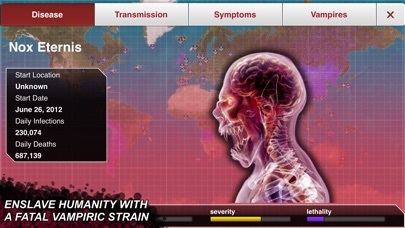 Plague Inc. is equally engaging and frightening. There is also a fair amount of science thrown in, which allows you to learn about different infectious organisms and how diseases evolve and spread. I’m having trouble using the abilities like the colonies and migration in the simian flu strain it might be all of the strains with abilities; or they have been reworked but there not behaving like I remember them. All these salty reviews about mega brutal being impossible are hilarious. This game is impossible to win. I have destroyed countries then all of a sudden that country has healthy people that cannot be infected. I suggest you just bang your head against the the wall instead of wasting your time and money. I love Plauge Inc. I have all the DLC and have played it quite a bit. I love the variety of Plagues you can release and the addition of all the added content the dlc brings, but there is just 1 thing that would make this game 5 stars and that is we need new and or different maps. It does eventually get a bit boring playing on the same world map which never changes really. It would be nice to have smaller sections of the world like Europe or America or Africa. It would be even nicer to do a different world and species maybe. Other than that this is a great game! Rate of cure research is entirely too fast, even with every upgrade to slow research. Worm pack repurchase when you switch phones? Listens to players. Replayable factor. Addressing current social and health issues. Constantly updating. Totally worth it. I recently deleted every game I owned on my phone and only kept this one. Thank you guys so much for listening to fans and adding this buff! Great game, am downloading again to test out this update! I have been playing this game for years and I have enjoyed it for just as long. I am not really one to write reviews for games or really anything for that matter but after seeing the people at plague inc. add an anti vaxxer option I knew I had to come on here and leave a five star review. Play the game you’ll love it, even more so now! There’s one strategy that works every single time, no matter what. Once you figure that out, there’s little reason to continue playing. If you resist exploiting the solution and try some different moves, it can be unclear why you lose. For example, if a few people survived, it won’t tell you where they are, so you can’t really formulate a plan for next time. The defeat screen gives little usable information, just some graphs that look like you won. Just kinda reinforces the one winning solution. I'm a fairly new player to Plague Inc. I haven't played it when it was free. But it is amazing. I've read plenty of reviews saying the game is too hard. I don't know if the game has had a massive rebalance or not, but it doesn't seem that way. I've beaten every plague in game on casual with relative ease, and normal without too much effort. It isn't a pay to play experience, unless you're impatient. There are many in-app purchases. Many people are angry about it, but I believe there are reasons. First of all, there is a computer game called Plague Inc. Evolved. All of these features are included for free in the 15 dollar game. 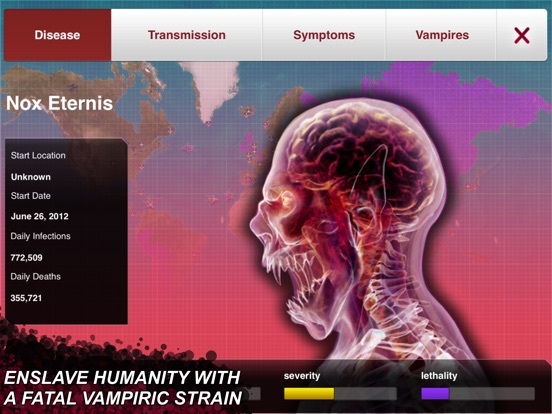 If you want, you can have the Plague Inc. Evolved experience for about the same price on your phone. You get the core game for the basic price. And it is worth it. If you really enjoy the game you can support the Developers by buying things. I did so with the Neurax Worm. I believe you can also unlock the Vampire and Ape plagues by beating all the basic plagues on brutal. All in all, the game is amazing. If you think it sounds interesting, get it. You'll enjoy it. Thanks for reading! The game is very addictive and absolutely a ton of fun. I’ve spent days playing it and going through all the different difficulties the game has to offer and even bought a couple of the dlc desease types. My only smaller complaint (why I have 4 stars) is one I can understand but still bumps me out. The pc version has a couple more things than this version. And I can totally understand that it takes a while for the updated to be brought into mobile, I would still love to see the multiplayer option in the game. I can’t stress enough how many times I’ve wanted to play the game with a friend since they’re also a fan of this game. In all this is a very great game, worth the money but keeping in mind it isn’t a game everybody will find exciting. But it is really fun and I recommend checking the game out. I would love to know if a multiplayer option is ever to be released for the game, it really bumps me out not to see one and it would really add replay value if one was added. Once that is added I’ll give my five stars instantly! Everyone who is complaining about game being too hard, you aren’t playing the game right, and if you really struggle with it so much, then go look up some guides. Games pretty easy tbh. And everyone is saying that it’s unrealistic and I think that’s what makes it more fun and challenging. I’ve beaten mega brutal on every single disease without much trouble, and I think the unlimited resource and funding made the game strategy harder and more playable. Because think about this, if you could mutate a disease however you want, to the point where it can be immune to antibiotics, develop dozens of symptoms, and infect in almost all known ways, then why can’t the world have unlimited resource, fund, and knowledge to cure against you? 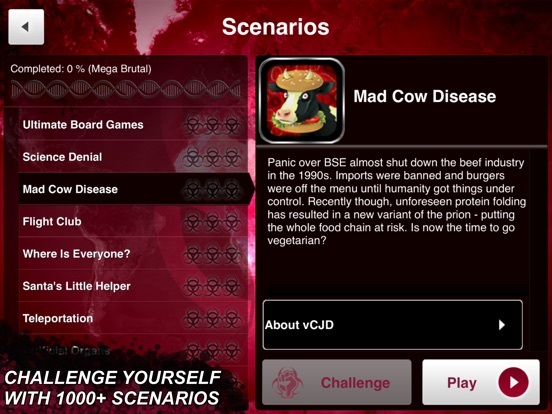 Honestly, this is not a hard game and if you were to play some more and figure out patterns, you would actually beat mega brutal on all disease with ease, the only one I struggled bit with was Prion Virus, cause it didn’t have exceptional specialties as others. This game is fun and a great way to pass the time while your bored or there’s nothing better to do. I enjoy the use of strategy and thinking you have to put into this game, but I would enjoy A LOT more if it was more realistic. First of all, countries of limited amount money and are somehow able to up the cure in a matter of days? I find that ridiculous. Another thing that annoys me is somehow a little cough or sneeze leads to research. In real life people would assume it’s just allergies and not go straight to the lab and find a cure. Even when it’s severe and is able to withstand almost anything possible that doesn’t slow the cure at all. I mean maybe by a day but their able to bounce back pretty quickly. I don’t enjoy how quick it is for them to cure the entire world so fast. Another flaw is that in real life we only have limited amount of resources. In the game somehow they have all the resources to ever exist. This game is fun but I would enjoy it more if it had a more realistic touch to it than it does in reality. This is a great game! It’s all about strategy. Here’s a strategy for Normal mode on the bacteria plague type. Start in China. First, save your DNA points until you have 20 or more. Then, buy drug resistance 1, bacterial resilience 1, and if you have enough left, buy water transmission 1. Next, save 50 DNA Points up. Then, complete the bacterial resilience tree, buy bacterial resilience 2 and 3. Next, save your points up to 60. Then, buy Water 2, air 1, air 2, and whatever water and air come together to make, i can’t remember what it’s called. If any symptoms mutate, devolve them immediately. This is good because your plague will infect the world faster because nobody will notice it and nobody will shut down ships, airplanes, or land borders, making it easier to spread country to country, continent to continent. Doctors will most likely only notice once a good portion of the world’s population is already dead. I tried this myself. Trust me, it works. I want to start by saying that this is a great game. It’s really fun, and it’s definitely worth getting. There are two points that I’m seeing about the game that I want to defend: 1) It’s too expensive. I’m seeing a lot of people saying that it’s too hard to get all of the modes, but that’s the challenge. That’s a bit of motivation for playing the game. The only thing that you really have to buy in the app it the scenarios, which is a huge expansion. All together, that’s only about 4 dollars, and I’ve been playing this game a lot and enjoying it a lot. Definitely worth it. 2) It’s unrealistic. What do you expect? It’s a game. If you, the disease, can mutate lots of abilities and transmissions and other stuff, and basically had endless resource, it’s only fair that the cure has lots of unrealistic funding. Otherwise, the game would be too easy. This is really long. Basically: I love the game. I like the game. It takes strategy, passes time well, fairly in depth. I like the premise, but it’s kind of unrealistic. You can try to progress your disease to be aggressive, but people die off too quickly. Sometimes it’s easy to infect other countries but somehow some of the smaller can go un-affected. Once the disease progresses and more countries get infected, anytime you upgrade the transmission, countries and regions automatically counter it somehow, even the more poor areas of the world. Also it seems like the abilities to increase effectiveness of your disease in wealthy countries and to slow down cure research and make it harder to cure do nothing. I had the drug resistance 1-2, genetic hardening 1-2 and genetic reshuffle1-3, but somehow there was a cure for my disease in 2 1/2-3 years, without even severe symptoms. That’s just on normal difficulty, i cant imagine brutal or mega brutal difficulty. I love the game but maybe tweak it just a little to make it a bit more realistic. I’ve had this game downloaded on multiple accounts over multiple devices since it first was released. This game is an all time favorite of mine. I can go months without playing it, and then jump right back into it and get drawn into the gameplay and challenge of it all over again. It has great replayability, and I’ve heard the board game is equally as fun. My only complaint is the amount of in-app purchases. While many things can be unlocked during gameplay, they tend to be ridiculously hard. The prices for certain extras should be lowered or grouped together. As someone else pointed out, with the money you’d spend getting the game and all expansions, you could’ve bought a higher quality PC/console game with more in it. TLDR; all time favorite game, wish the in-app purchases weren’t how they are. If your a beginner at this game and you have no clue on how to beat brutal or mega brutal it becomes pay- to win. I am quite new to this and only re-installed it 2 weeks ago. This game doesn't need Wifi or internet so if you're looking for a good game without internet, this might be for you. If you have beat Mega Brutal then you are a genius at strategy. 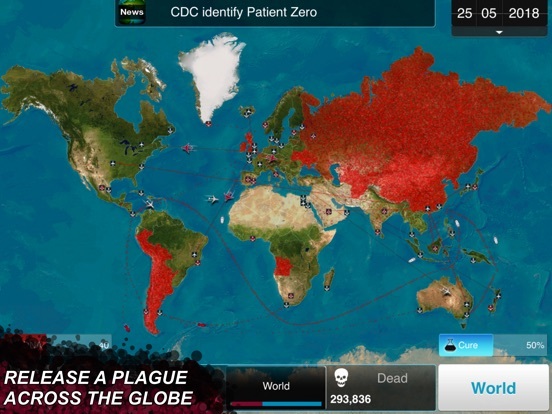 By the way if you want to beat the game easily with a basic plague type than use the virus plague. I currently have every plague type in the game and if you want a cool plague type and you like zombies get the Necora Virus. This game is the best I have played. If you like Planet of the apes then get the Simian Flu and if you like brain worms then get the Nurax Worm. If you like Creepy vampires then get the Shadow plague. 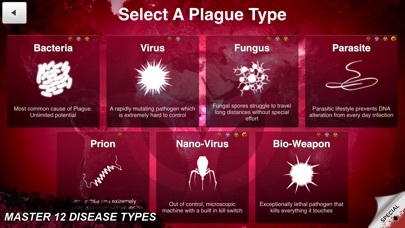 This game needs more plagues so please add some! All and all this game is epic! This is a great simulation. But as something that aspires to be realistic, there are a few irksome details that should be fixed. First off, no country in the modern world can stop animals and insects from passing across its borders. Completely impossible. Ask any biologist. Islands like New Zealand, Madagascar and Iceland are well within the range of birds. The idea that these countries would be completely immune to disease right next to them is completely unrealistic, as is the idea that any country could just ‘eliminate birds!’ Really?! Every since one of the millions? Good luck with that- modern armies can’t even eliminate 100% of humans in a given region, certainly not all animals without killing themselves in the process. Secondly, cures don’t roll out to hundreds of millions of people Ina a matter of days- it’s more like months and years! If a team of doctors in Canada find a cure, no, the entire continent of Africa is not going to get that cure in a week. They’d be lucky to administer it in a year! And when 99% of Canada’s population is dead, where are they finding the resources to cure even a handful of people? Then minor things- like I understand not all ports are shown, but no commence btwn LA and the Pacific Rim? Hello, it’s probably the largest single commercial route in the world! I’m a bug that destroys the world! Really clever and lots of fun. From casual to mega-brutal difficulties, you can choose how you want to play. I’ve been enjoying this game for free for over a year! If you have patience & some skill, you can earn the DNA and don’t have to pay anything for that part. I decided it was totally worth it to purchase the additional scenarios and unlock some extra DNA sequences. A few things I’d like to see in an update: 1. More spaces to name my bug, as I like to add the date & difficulty I played at (alternately, just add this info to the ‘high score’ section). 2. I don’t really care about recording the score on games I didn’t win. 3. During game play, I’d like to be able to reference which pre-game selections I chose (perhaps on the disease tab). Many thanks to the developer. Love it! How to contact the developers??? I absolutely love this game. I’ve had it for a while now and it’s my favorite game to play on car rides and other long trips. 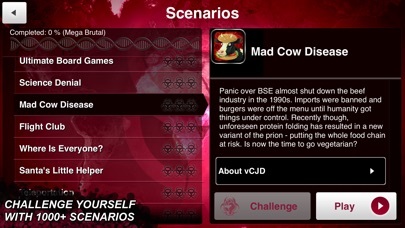 In fact, I loved it so much that I bought the option to unlock all scenarios a little while back. However, I had to delete the game for a couple months when I was low on space, and when I downloaded it again I had lost access to those scenarios. I’m confused why this happened, I would think that since I still owned the game (it just wasn’t on my phone) any purchases I made should be upheld. I don’t want to pay for it again, but I loved the scenarios and would like to continue playing them. I can’t seem to find a way to contact anyone to solve this issue so if anyone has a way to help me either contact someone or solve the problem please let me know! Who hasn't dreamed of taking over the world? Well. This isn't exactly that but destroying it is the next best thing. It's hard at first and then it gets even more difficult over time, and I bet you'll love every moment of it. The one thing I wish it had was a single button I could press to simply buy everything. But don't worry, everything in the game can be unlocked as you play. I just didn't want to beat everything else to play as a nano-virus. The display UI is as simple to master as the concept of the game itself. The graphics allow for understanding of the spread while the "news real" hands out just enough detail to keep you entertained without having to show just how horrific it is. The only issue with the graphics for me is that the world doesn't turn black as the disease kills the world. It just kind of darkens a bit. I want it black! First, burn it red with infection and then burn it black with death! But meh. That little nitpick isn't enough to keep me away. So give this a go for those days when you just want the world to end in new and imaginative ways each more horrifying than the last. Mega Brutal problems and Realism. The DNA when you start is ok, but when you advance to the stage where you infected your whole starting country and other countries then the DNA slows down to 1-2 DNA per 300,000 to 500,000 and for that amount your should at least earn 10+ DNA. Also I killed about 60 million people and only got 2 DNA. Absolutely ridiculous. Also in Mega Brutal your disease when it is discovered and lasts for 50 or 100 days, so many countries invest in research for a disease that literally has no symptoms and is harmless but treated like the Black Plague, Smallpox, HIV, Chicken Pox, harmful tumors, or cancer. It is pretty unrealistic considering there are other disease out there needing that attention. I don’t mind the fact that no humans die or old age or are birthed, but I would love to see that in the game. If you improve this I would give 5 stars no doubt. Great game, but has lots of issues. I’ve been playing games exactly like this for like 10 years and I’ve never seen one as difficult as this... Jesus, even the “easy” mode is impossible. And I use a proven effective method. Maximize infected, then hit with the deadly symptoms. However I had like 3 test games doing different methods, all on “casual” mode, and I lost all three. Game 1- Infected the entire world, waited, racked up DNA points, then I went in for the kill... cure was developed in about 30 seconds and I lost immediately because I totally stopped getting DNA points after I started killing off the population. Game 2- Same as game one, but before I started buying deadly symptoms I sold the transmission upgrades so I had some points to spend. Cure developed at a steady pace, stopped getting DNA points, lost the game. Game 3- I maximized the infected, then I started buying drug resistance. Then I just didn’t even have enough DNA points to kill anybody. Ended up buying not even lethal upgrades, then I lost because the cure was being developed and I got like 2 DNA points every 10 seconds. I couldn’t buy anything. At least make the easy mode easy. Give us a more steady income of DNA points instead of just totally cutting it off at 5% lethality. Deleting the game. I’m not gonna play if an experienced strategy gamer can’t even beat easy mode. I like the game but I have one problem: people won’t die quick enough. I had lots of deadly things and the game was on casual and I still barely killed anyone. The game should also give you more dna points or give them to you faster. The cure should also be developed slower because the moment I add some stuff, people where already working on a cure, and this was on the easiest mode possible. People who haven’t played the game are probably gonna call me a noob and people who have are probably gonna tell me it’s supposed to be as difficult as it is, but I think you shouldn’t barely be able to kill anyone. Just a thought developers. I highly doubt the developers will even read this and fix the problems I had so yeah. But there’s a problem. People have sung the praises of this game and I agree with everything others have said. The reason I’ve given this game 3 stars is because the Custom Scenario’s just stopped working. It’s not an issue with making them or playing the ones I’ve already downloaded - that still works fine. The problem is that I can’t download any new ones. Every time I try, it gives my the loading screen and then closes to show that nothing has downloaded. I’ve uninstalled and reinstalled the game and that hasn’t fixed it. If this is a bug, I’d suggest getting it fixed immediately. Once that happens, I’ll give the game the 5 stars it deserves. I’ll start by addressing the criticisms of this game. People say you have to buy everything. I’ve beaten everything on Brutal and it unlocks the special scenarios after I beat the first 7 on Brutal. People say you can’t even beat normal. Normal is surpisingly easy. IF YOU DON’T PUT TOTAL ORGAN FAILURE AS ONE OF YOU’RE SYMPTOMS TWO MONTHS IN. The reason you have to pay for the scenarios is that the devs work hard to make them. Now for my praise. This gane is really fun. I don’t know what else to say other than that. Killing the low 7.1 billion people (really should be updtaed to at least 7.5 billion but oh well) is surprisingly fun. I swear I’m not a psychopath. Thanks for the fun game, Ndemic! Keep it up! P.S. You guys should totally add a scenario creator for Rebel Inc., too. A lot of fun you can beat everything without needing to buy any of the actual expansion pack items. You however cannot buy the custom scenario kit without it trying to make you buy it twice apparently. This infuriated me deeply is all I wanted to do was to play my own scenario that I made. Very convoluted difficult and I wasn’t able to play even after already buying it. It sends you in a never ending circle sending you to the scenario kit then back the to the game it never ends. So stick to the game I guess until they fix that glitch. Other than that I’ve wasted hours playing this game I love vampire mode it was especially satisfying earn your way up to it. I’ll start out by saying that this is an amazing game. I’d recommend the pc version over this, but if you want to be able to play this on the go then this is a great purchase. If the glitch I’m about to talk about has been patched then ignore this and buy it. The glitch is that after the game is closed (even if it is cleared) if you tilt your screen the view will switch even though Portrait Orientation is set to locked. Sometimes you may have to restart your phone if it keeps doing it after trying to lock and unlock your PO. Other than that I am greatly enjoying this game and I would recommend it. I would give it 5/5 stars without the glitch. This game is so good because you can get so many different infections. But I wish they had an update so you can zoom in on the map and start your infection on a more specific place. It is fun because I can just watch everything happen all at once! It is also good that you can edit your infection simply by evolving (in fact much more simple than that). Normally I lose and I still like it though because I just love trying out new infections. 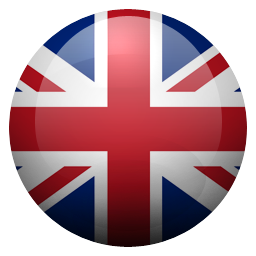 This version has very high quality and is actually very popular now around the world. I appreciate this app because of how much detail there is. Anyway, YOU MUST BUY THIS GAME!!!! Unlike some of the comments say, this game is not too hard to beat and is actually really easy once you have a strategy. I saw a comment that said, "You have to buy everything to get anywhere." But that statement was not true. I have beaten all the standard plagues on brutal without assistance from a guide (except for fungus, I just have a really hard time on fungus). I didn't buy anything except the game. Scenarios aren't free but the the game developer explains why. Cheats are earned and so are the plagues that completely change how you can play. If you have a good enough strategy this game is completely do able. This game has so much potential but $0.99 is all I’m willing to spend to be bored to death. Great concept with the ability to watch on a global map how infectious disease spreads in linear time. The game allows players to develop and spread a bacterium. It doesn’t allow any viruses, etc to be used unless you’re willing to pay more. Then, there are other components of the game that also requires more purchases. Basically, empty your piggy bank into your phone to play a boring simulator game. I honestly don’t know why anyone would unless you’re just into wasting time and money. I wish the developers would charge a flat rate of maybe $2.99 or 3.99 for a fully unlocked game. Rather than being sneaky about the game purchase that would later amount to more spending. It’s greedy and the game will simply put you to sleep. 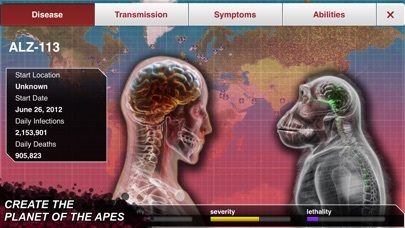 I used to love plague inc. I played in most of my free time and beat all modes, including neurax worm and necroa virus. However, that was back when it cost a dollar and you got access to most of the game’s content. I got a new phone and when I went to download it, I saw that it was free. I was confused, but I got it anyways. When I loaded it up, not only had the update that added the micro-transactions had also deleted my progress. I did not mind, as I enjoyed playing through it the first time. As soon as I got in, I tried to speed up time and saw I had to pay a moderate sum of money to access it. This upset me very much so I immediately deleted the game. The new game is atrocious and I would not recommend it to anyone. I hope you found this review helpful and make sure to post your own so maybe there will be a change. I love this game. I recently bought it and am already attached to it. I have friends that loved this game so I played it a long time ago with them as well. Now that I finally own it, I have gotten lots of fun to play. I think it could use a little work though. Some minor things though, like more characters for the names. The games a little confusing at first though, I feel maybe you should experiment with a level system. Though I am not experienced with the game as much as some people, this is just what I think right now. Amazing game though, thank you. The game deleted my progress? All of my achievements, unlocked diseases, progression of game, speed run scores, scores, scenario progression, genes unlocked, Everything is gone!! I would recommend this game it’s fun but I don’t recommend this misfortune that I have experienced. This needs to be fixed please if anyone has experienced anything like this please share and if any solution exists share as well. I don’t want anything to happen to anyone else so please do not fill your storage and play the game with no storage. I did and this happened so please do not do what I have and make the mistake I made. I HATE paying money for apps, but I played the free version of this game when it was out and I was addicted so it was worth it! I also would love to have all the expansions, but I hate that you have to buy them one by one, I wish it was all in one pack or something similar! 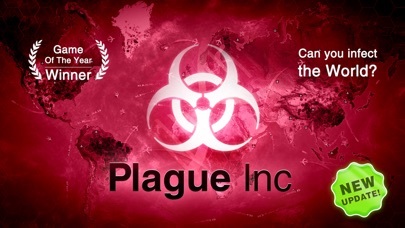 I also would love to see maybe a flip side to this game where you are fighting a growing plague, and you could do Black Death, Ebola, zombies all kinds and maybe do some history on some plagues maybe we’ll less known ones or playthroughs? That’s just my thoughts but the game in of itself is amazing! 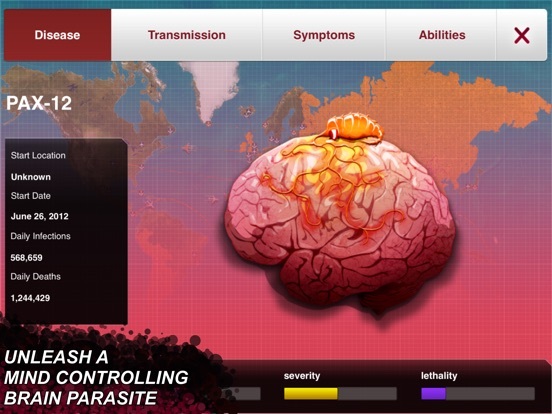 Plague Inc. is a game where not only do you have to be selective with your plague type to be victorious, but depending on what genes and symptoms you choose can detect how fast your plague is detected and/or wiped out. 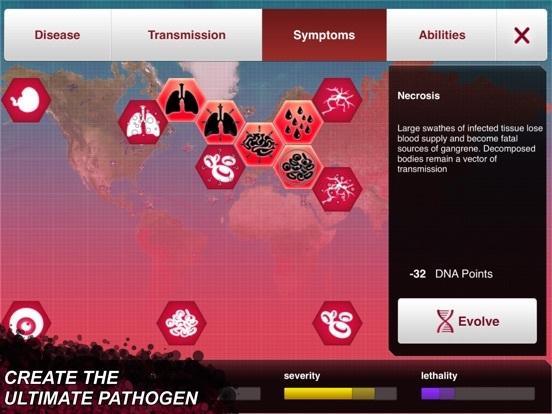 Expert tip from me if you want to unlock all plague types, Put all your DNA points into the transportation of the disease, and when you have every corner of the earth infected, then and only then start upgrading symptoms. If a symptom mutates to early, don’t be afraid to devolve it even if it costs DNA points. That one mutation can hurt you in the long run. All in all, 10/10. Very fun if you like Nit-picky games! I first learned about this game as a “backer” on Kickstarter. 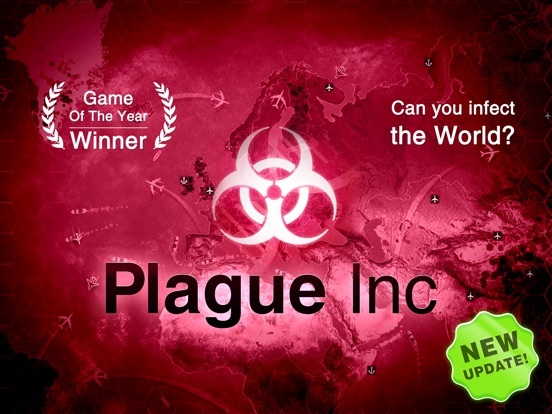 I loved the board game and the PC version so when I was looking for an app with high replayability and saw Plague Inc. come up on every list, I didn’t hesitate to spend the money to get it. 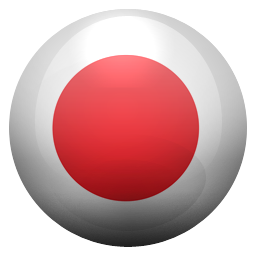 The app is as good as the board game and PC game; definitely worth the $$$. I love this game and have no regrets. I play it over and over and never get bored especially because there are zero bugs, the tutorial is easy and the controls are flawless and natural. I’m excited about the updates, expansions and new content. TL;DR I love this game and you won’t regret getting it! The main grime is pretty fun I’ve had a lot of fun laying it over the years. The scenarios are setup to be ridiculously hard so you have to purchase stuff in order to overcome the ridiculous things this game throws at you. I don’t find it challenging, I feel like it’s a ploy to try and squeeze money out of me. 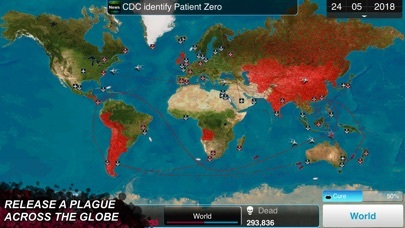 Until countries that are completely dead, and supposedly devoid of people, stop contributing to the globally cure effort, and there is always 1 (sometimes even 2) country that never seems to have more than 200 infected people (no matter how poor that country is) I’ll be looking for other games to entertain me. Thanks for all the fun over the years. This game quickly becomes unrealistic when every country in the world has all the means necessary to cure a disease that they found out how? I didn't have a single transmission pint and there were riots over a "mystery disease" and the entire world found out about it. Within a few in game days Australia started cure research (I had just spread it to Australia) and it was alright and I thought it would be fine. I then spread it to Greenland and Iceland but there was absolutely no spreading after that. They were stuck on 2 people infected in Greenland and 9 people infected in Iceland. I developed transmission to battle the cold and medicine but it wouldn't budge. Even then the cure developed so fast and I had so few point I couldn't do anything. I liked this game but new updates have severely hindered it. If you’re expecting “real” biological threats and how they might spread, you will be disappointed. This is a game, and has its own set of algorithms that it follows. I’ve played it for over a year or so and is one of the very few I would pay money for! It isn’t so much about how something would work in the real world, but rather how it works in the game. Play it for fun and you’ll figure out how the game works over time. It is a bit of a time sink though, each game will last for around 15 mins, not a quick play. Wow. Be careful you might be up until 3 a.m. paying this game, just like me. Well thought out game. It causes you to think about the world around you in such a way that really makes you want to wash your hands after meeting new people. I really used to like animals, especially birds. Now I will never feed the ducks again. Could you please cover your mouth? Okay so the game makes you want to become an infectious disease just to see if you can do it! You know, wipe out the human race. And, not to toot my own horn, buttadid. Worth all 99 pennies. I have loved this game for a long time but lately is been buggy. First thing is relatively innocent but there would be no healthy people left and the world is in the verge of all humans dying and a popup would say that the disease randomly infected a country...when that was clearly not the case. I just shrugged it off and continued my game. Now, twice in a row I got the notification that there were no healthy people left in the world so I amped up the symptoms to kill everyone off and suddenly all of the countries have healthy people again and I get the message that the disease killed all hosts and left healthy people behind. Super frustrating bug. To James ( the developer ) Excellent game !!!!! I really enjoy playing this game. It gets tough sometimes but all that means is that you need to change your strategy! I would rather the game be difficult than easy. Too many games are easy and you end up blowing right through them. I fully recommend getting this game, and purchasing some of the extras if you can. Side note ! I greatly appreciated how James ( the developer ) explained why scenarios cost extra ! At least he took the time to explain why. Seemed very genuine to me !!!!! I love this game, and over the few months I've had it I've used most of my free time playing it and watching others play it. I haven't payed any money other than buying it, yet I have all but one disease type. I think all you have to do to experience all of the game is develop a strategy. Mine has evolved over time. This game is sooooooo worth it! Watching play through has helped to. So just get involved, set a goal, and keep trying. So much time has passed in me playing it. Now I may be just a newbie, but this game is hard. 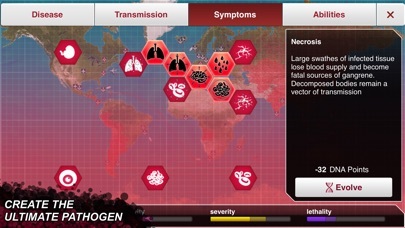 I couldn’t get a single win on normal mode, and I really wanna unlock all the other pathogens. Also, about the cure thing, I think popping the cure bubbles should not only slow down cure research, but reverse it as well. I also think there should be a transmission for skin contact. Where the hell is that? Also why does every country have unlimited money? Shouldn’t poor countries have very limited money, and not enough to research a cure? Rich countries may have a lot of money, but they shouldn’t have infinite money! That’s just unfair. Can you please fix this issue? I have an IPad, so I can’t get the Evolved version.